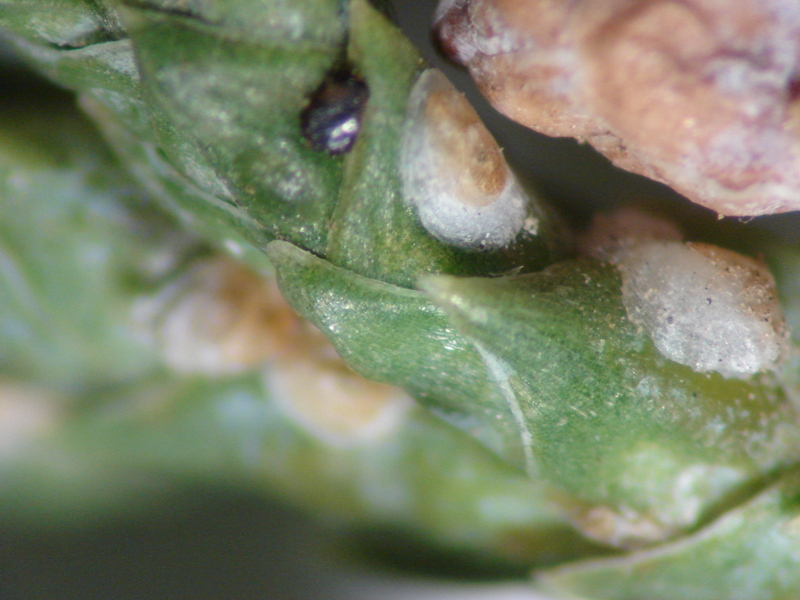 Pest description and damage The female scale is approximately 0.05 to 0.1 inch in diameter and white in color with a notable, central yellow spot. The male scale has a more elongated appearance. Crawlers are pale yellow. This insect feeds on the sap within the stem or leaf. Leaves, twigs, branches, and cones may be attacked. Their feeding can reduce the vigor of the foliage supported by that stem. Symptoms of scale feeding include loss of normal color and luster of foliage, no new growth, and yellowing and death of branches. 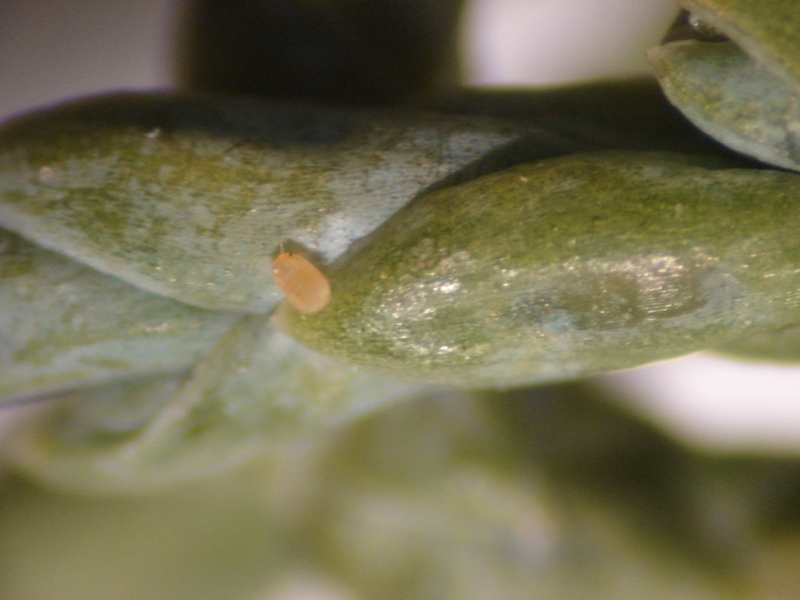 Severe infestations may kill entire plants. 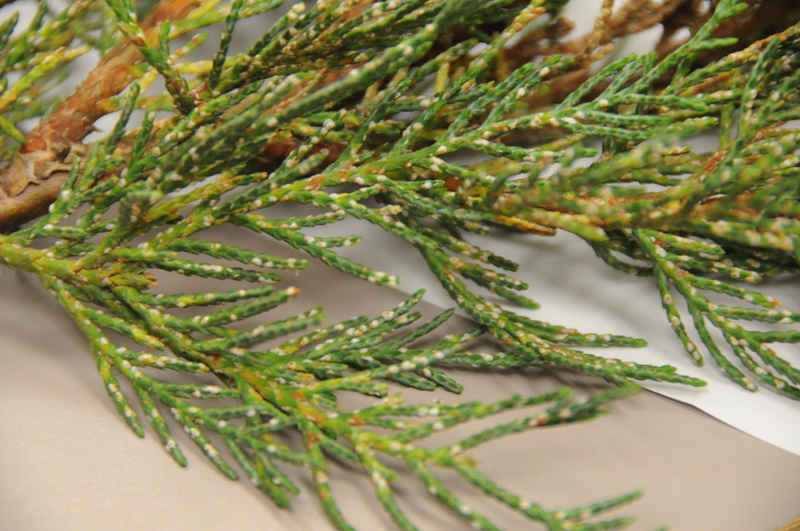 Juniper (Juniperus), Leyland cypress (Cuppressocyparis), Lawson cypress (Chamaecyparis), western red cedar (Thuja), and all members of the Cupressaceae family are attacked.